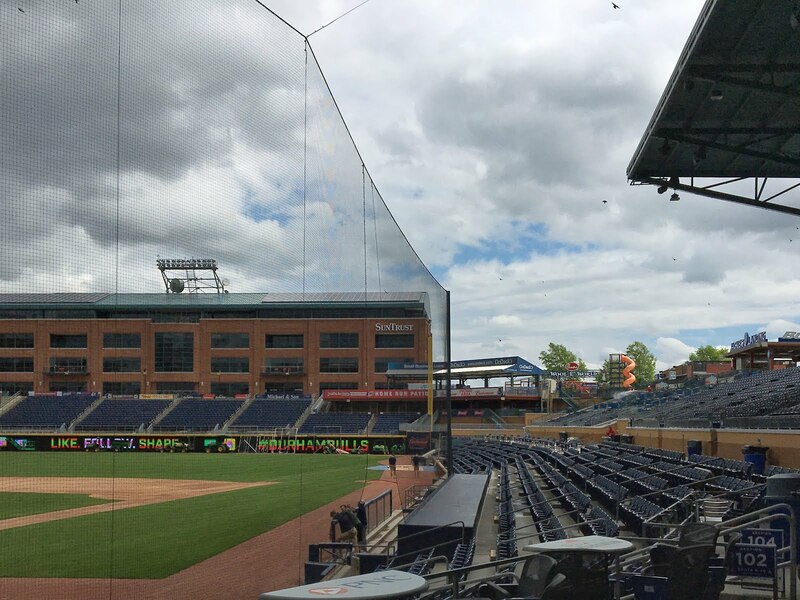 Our expanded netting has been installed just in time for Opening Day, April 7th. The old backstop, behind home plate, was about 2400 square feet. 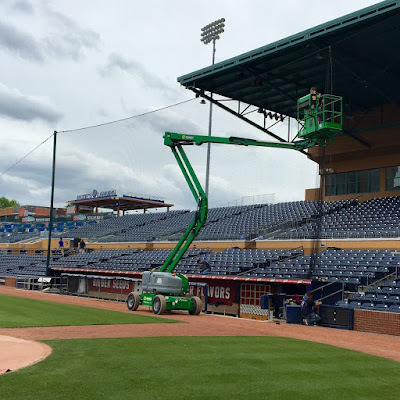 The new net, extending to the end of each dugout, is almost 8500 square feet. I submit that fan protection is improved by 250%. WRAL TV's Leyla Santiago was at the DBAP Thursday as the project was being finished. Watch her report.